Breathing's My FEV1orite | I like breathing. Breathing's my favorite. I like breathing. Breathing's my favorite. I’ve come along so far since my transplant. I’m finally getting back to a new routine, my roommate and I are planning a 5k to bring awareness and hopefully raise some money for CF, I STARTED MY OWN COMPANY, and I just tried paddle boarding for the first time yesterday, which tells you I’m getting stronger!! My friend/roommate and I are planning a 5k for Cystic Fibrosis! After having my surgery I feel like everything I just went through happened for a reason and one of those reasons, I feel, is to bring awareness to CF. We thought a great first idea would be to hold a 5k in our town with proceeds going toward CF, and so far it seems like this is just something that is meant to happen. We’ve been discussing this for a few weeks now and doing some research while jotting down ideas that we think of. We usually like to take my dog, Bailey, outside to the local brewery for our brainstorming sessions. My roomie has a beer, I have a coke and my pup gets tons of attention. Perfect situation! Well, last week serendipity happened. We were at the brewery as usual and some very sweet girl came over to love on Bailey for a little bit and we got to talking. We seemed to get along pretty well. She asked if she could sit down with us, but she was smoking so I politely explained to her that I had just received a double lung transplant and that she was welcome to sit with us as long as the wind was blowing in the opposite direction or when she was done with her cigarette. We started talking some more and told her that we were brainstorming for a fundraiser 5k …and that’s when it happened! The guy sitting next to my roommate leaned over and said that he didn’t mean to eavesdrop but he worked for a running store in the next town over and they actually help people plan events just like this on the side! They do everything from helping to get t-shirts designed and made to getting city permits and taking care of all the logistics. I truly don’t believe it was a coincidence. I felt like all of that fit together like a puzzle piece and was meant to happen so I got even more excited for this to happen. We even ran into this lady on the side of the street a few nights later selling little items that look like they may be made of a type of grass or something like that. 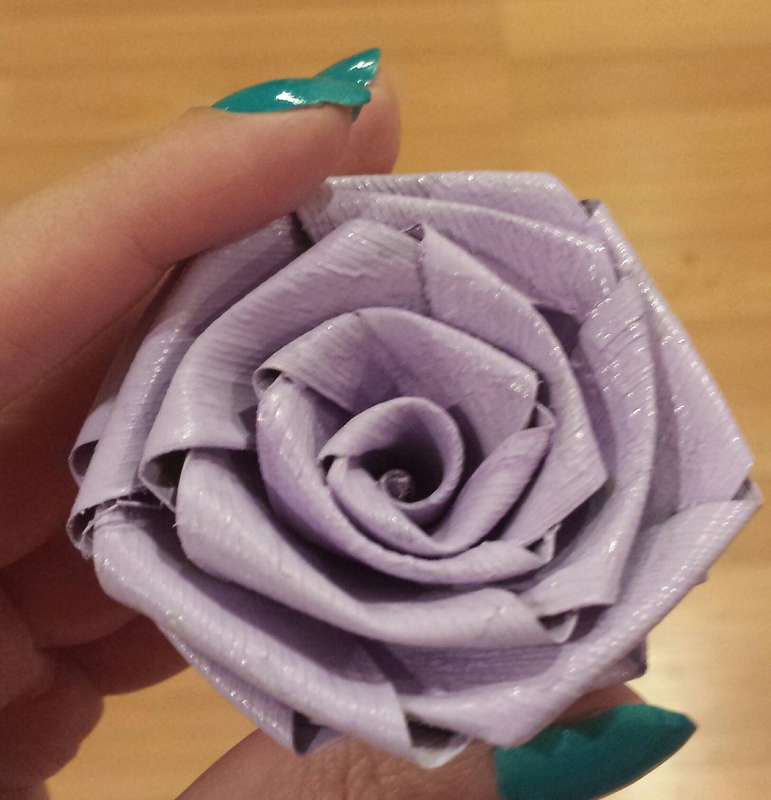 I bought a purple rose off of her for the purpose that purple is the color for CF and to go along with the story of 65 roses. P.S. if you have any tips for us or would like to be a sponsor please leave a comment here or email me at rempae@gmail.com! I’m months behind on updating my blog again. Sorry about that. I’ve been doing great in the last few months after my lung transplant. I finally moved back to Florida and have my freedom back. It’s an awesome feeling to be on my own again without needing help, but at the same time it’s kind of scary, like, holy cow I have to take care of someone who just had a transplant! 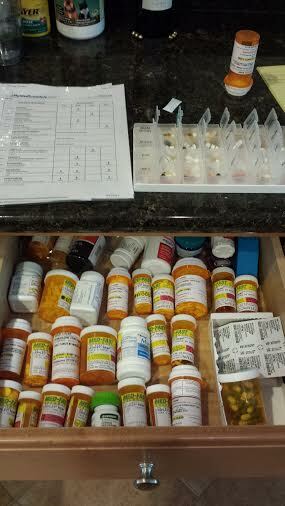 I have to make sure all of my 28 meds get refilled on time. Yes, 28. I have to refill my pill box with each of them correctly. I need to avoid certain foods like fresh fruit at restaurants which may not have been washed properly. And most importantly I have to make sure I take all of those pills every day and at the right time. This week I had a minor set back. I have been working out much more rigorously in the past 3 weeks by lifting weights and going a mile at a time on my elliptical. I had been extreeeemely tired within those weeks but I thought it was just because I wasn’t used to working out. I was sleeping until 4 or 5 in the afternoon. Well, one day I got a call from my transplant coordinator saying that my potassium was dangerously high at 6.9 and that I needed to go to the ER to make sure it wasn’t just an error with my bloodwork and to get treated if I needed to. I took off out the door thinking it would be a 4 or 5 hour ordeal if I needed some IVs or what not. I was wrong. I ended up in the hospital for about 3 days getting this straightened out. It turns out that my kidneys hadn’t been able to keep up with all the exercising I was doing. When you lift weights, obviously your muscle is breaking down so it can build itself up stronger, but when my muscle was breaking down, my kidneys couldn’t keep up. The potassium in my body began to build up. I wasn’t drinking enough water and some of my meds made the whole situation even worse. It was the whole combo, but now I’m all fixed up and ready to do things right. The only other problem is that, during a CT scan I had at the hospital, they found a large cyst on one of my ovaries. So that’s a whole new problem I need to look into next month when I’m back in Pittsburgh for a check-up. So far, from bloodwork, it looks like it’s not cancerous but we’re going to need to look into it further to double check or to find out what it is. Where are My Bathtub Crayons?